Tamworth operator Solus Travel has purchased four new Scania Irizar 53 seater executive coaches. 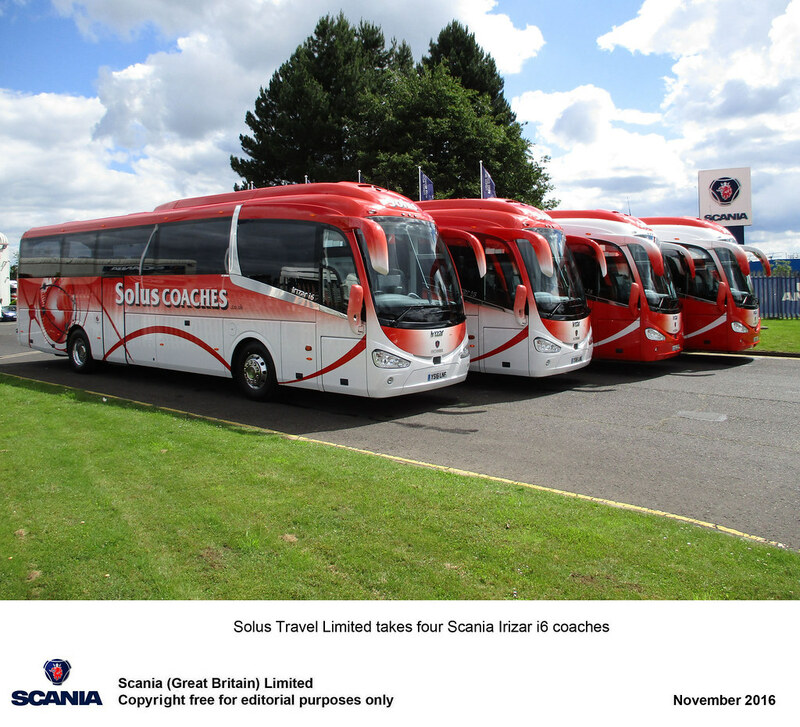 The vehicles are all Euro 6 Scania K 360 IB 4×2 chassis equipped with Irizar i6 bodywork. Internal fitments include 53 reclining seats, centre sunken toilet, drinks machine, DVD Player and two monitors, extra dark tinted glass and Alcoa Dura-Bright alloy wheels.